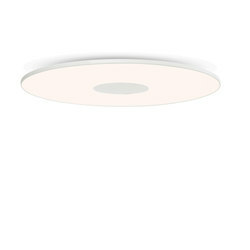 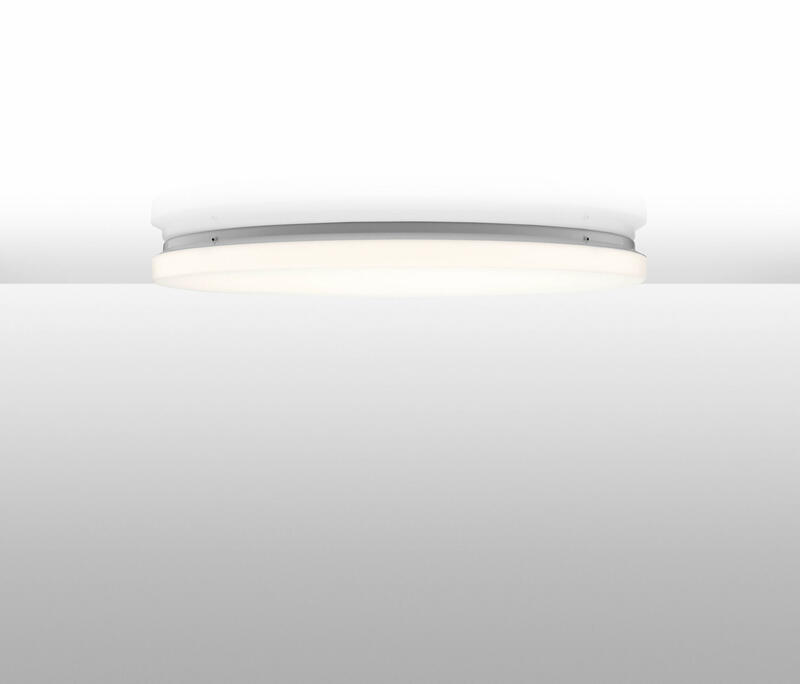 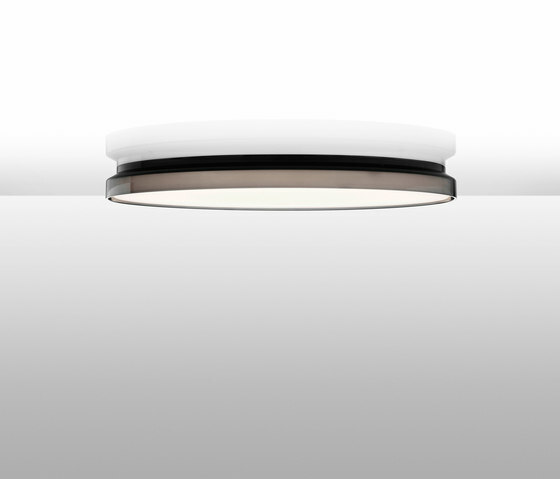 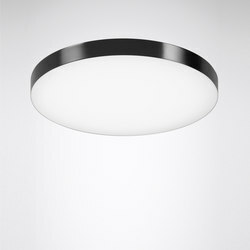 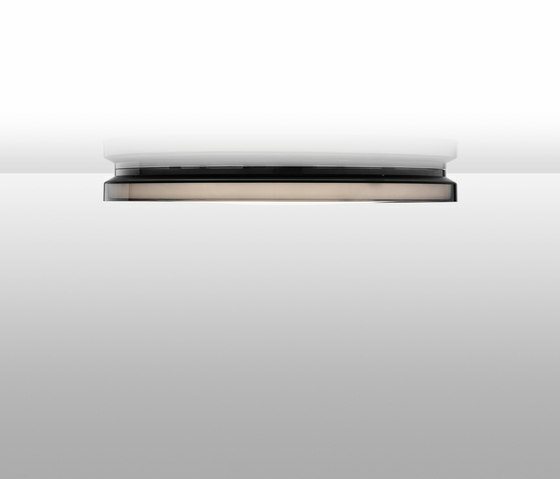 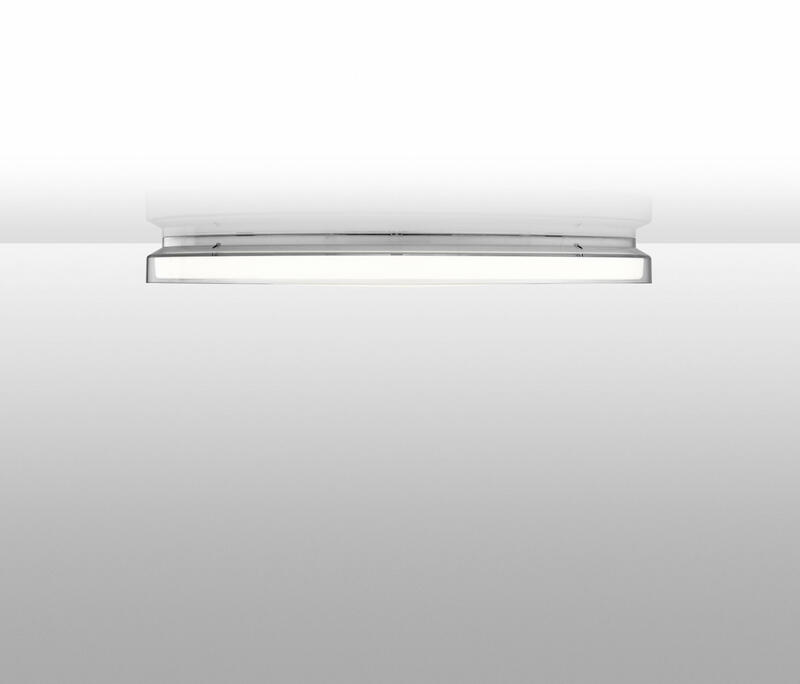 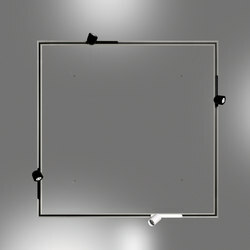 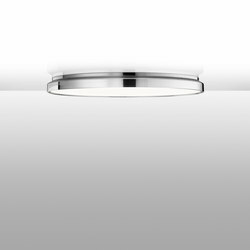 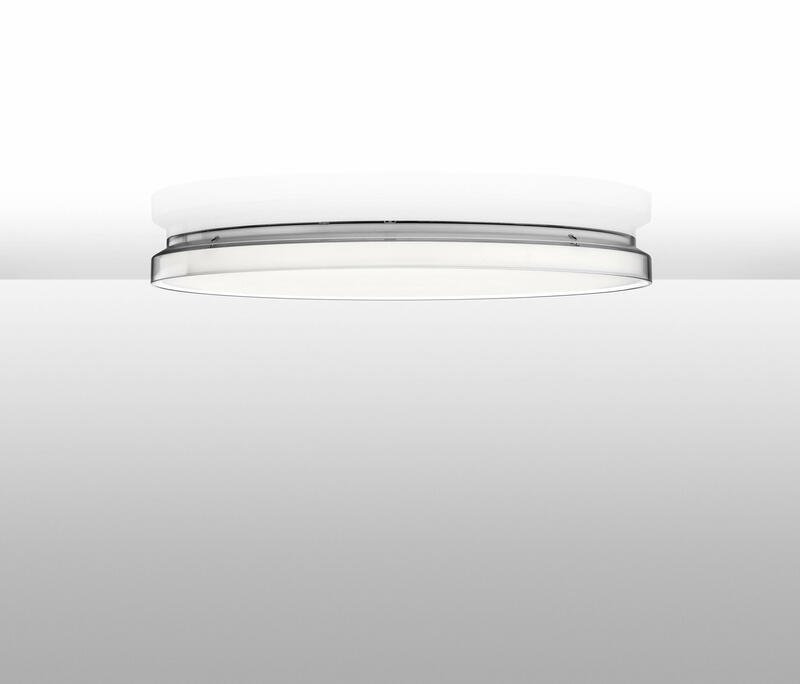 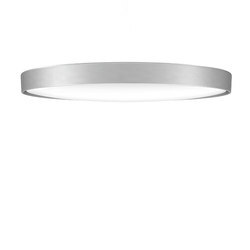 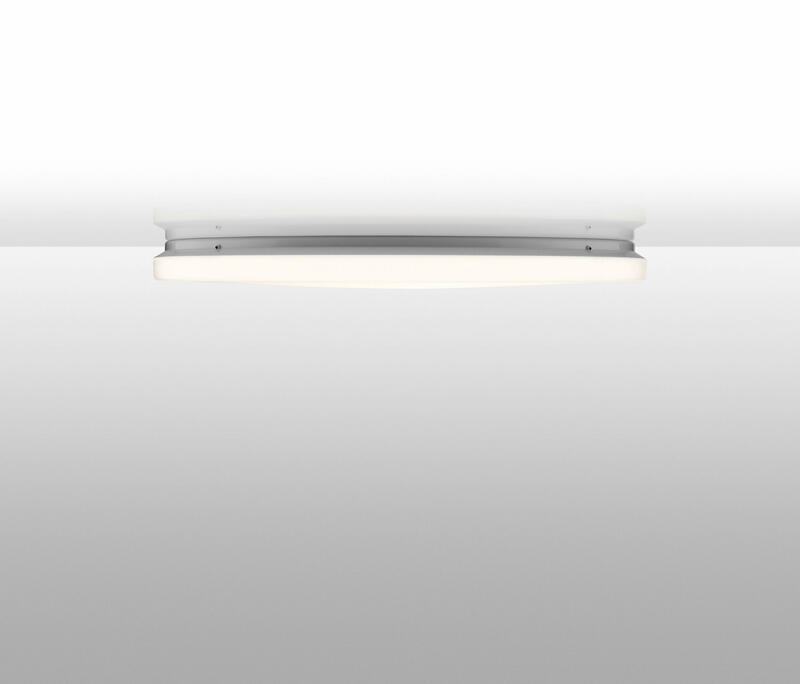 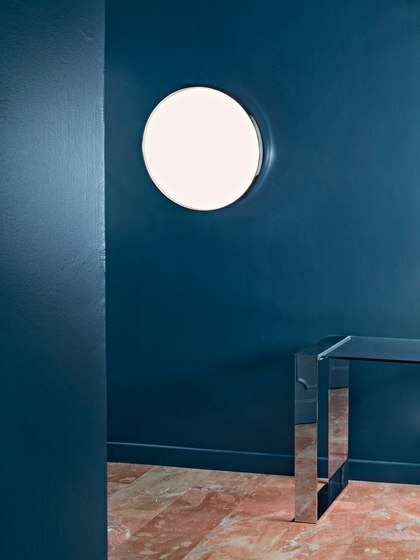 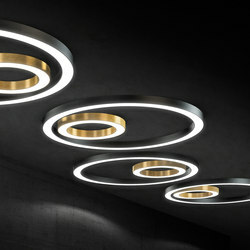 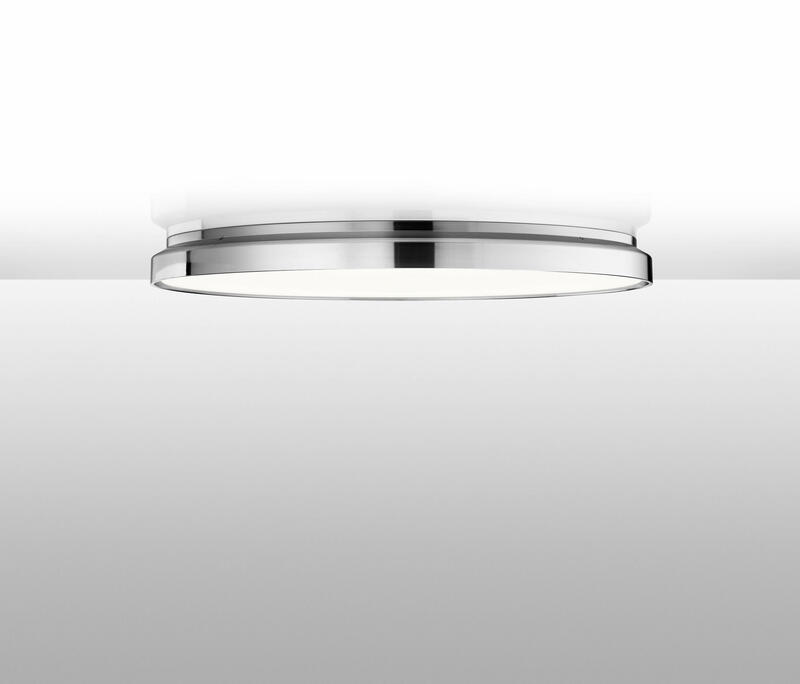 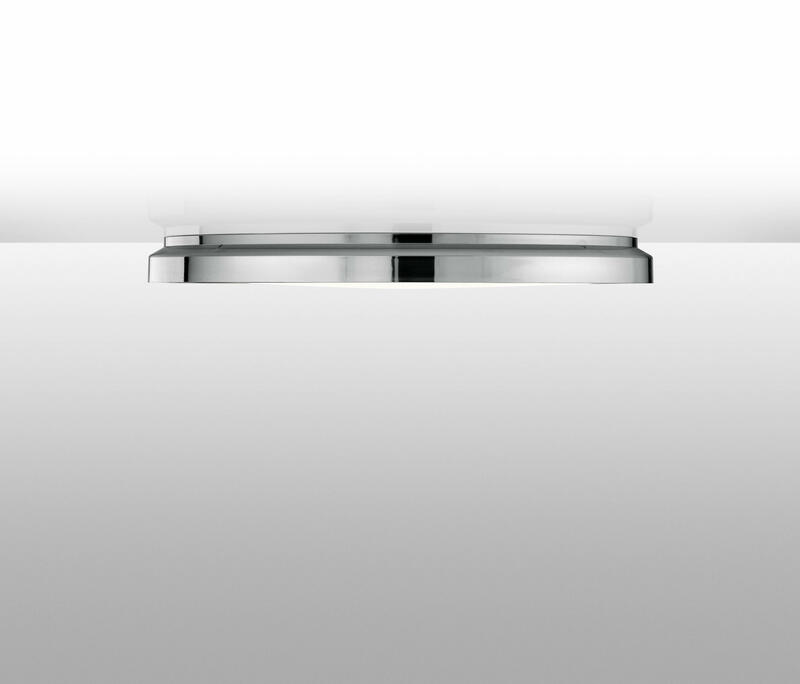 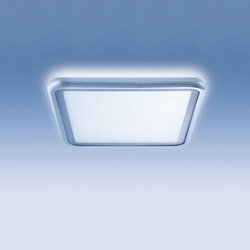 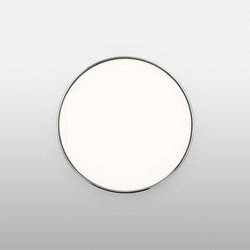 Ceiling/wall lighting fixture, providing diffused light. 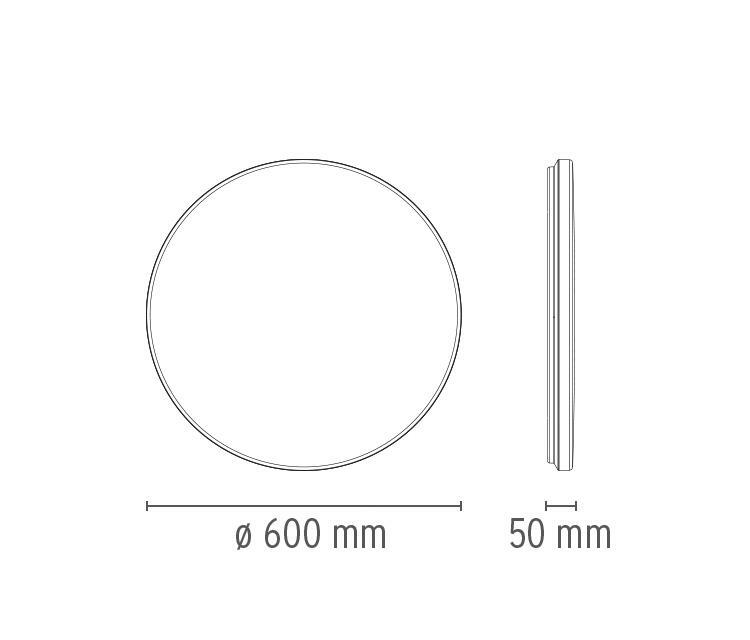 The front diffuser is made of high efficiency, injection moulded opal Polycarbonate. 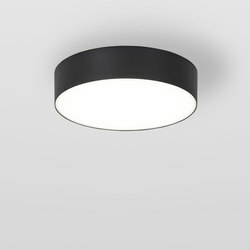 Ceiling/wall fitting is in injection moulded polycarbonate. 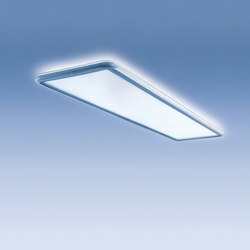 Dimmable Led light source powered without the use of any power supply/transformer, but directly by the mains voltage (from 100 to 240 VAC). 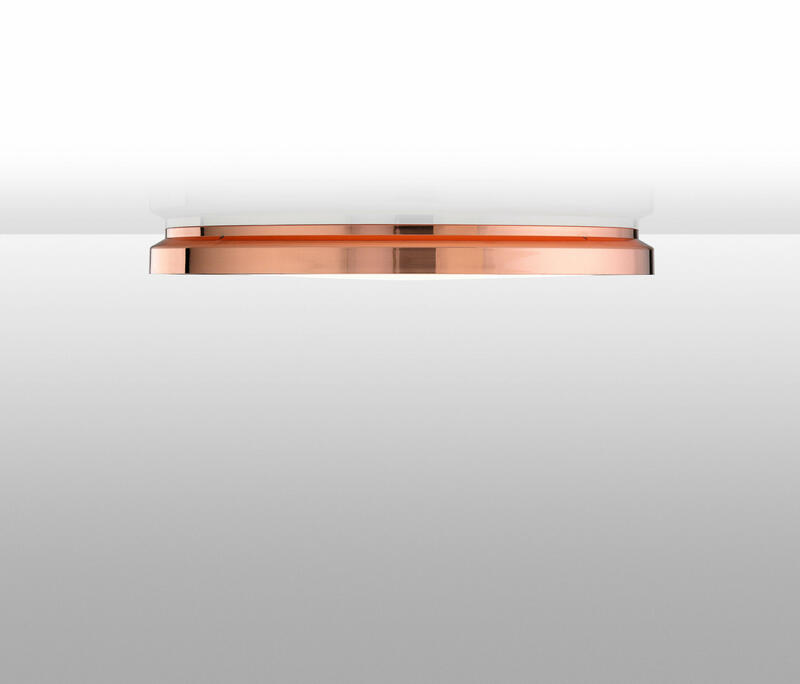 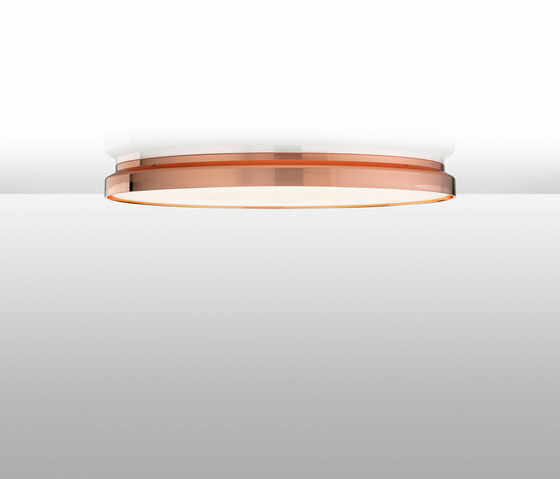 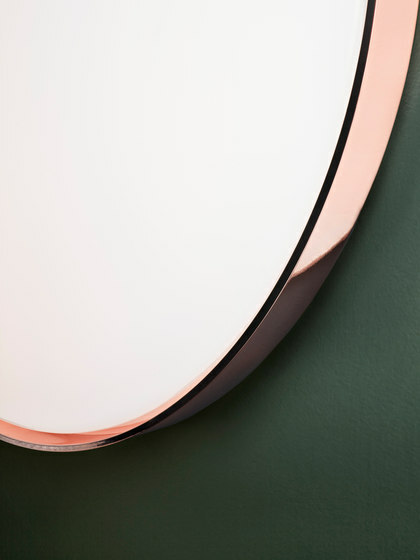 For decorative purposes an optional accessory made of PC and ABS+PC is made available in 4 different finishes: chrome, copper, black fumée and transparent.